Featuring: Tom Cruise, Tom Berenger, Willem Dafoe. Director: Oliver Stone. Warning: This movie will only stream until May 1st so act fast! We all know Tom Cruise is a d-bag. I think we can all agree on that. All the Scientology crap, the jumping on couches and the whole closeted homosexual bit just turns people off of him and for good reason. He's a weird little man. All of his eccentricities make it very hard to take him seriously these days. He's not a bad actor though. There was a stretch there when he was a decent leading man and Hollywood's golden boy. Sure, he's no Paul Newman, but he's not a talentless hack posing as a leading man like say, Warren Beatty, either. In Born on the Fourth of July everyone's favorite Scientologist gives one of the best performances of his career as a young man who goes to Vietnam as an idealist and returns a cynic and a cripple. Believe it or not, I thought Cruise was really believable in this role and probably even deserved the Oscar nomination he got for it. The movie itself seemed a little uneven to me. It seemed to sort of just bounce around and there wasn't nearly enough about his time as a protester. I don't really get the academy's love of Oliver Stone (he won another best director award for this one) in the 80's. I've enjoyed a lot of Oliver Stone movies but he has never seemed to be a master of the craft like say, Scorsese (who was continually snubbed in the 80's). His movies all feel rushed and unbalanced. It's like he won his awards based on how good his movies could have been if he wasn't coked out the entire time he was making them. That being said, this is a good movie and worth watching for Cruise's performance. Yea, I just said that. According to Netflix this movie will stop streaming on 5/1/11. Of course, sometimes they lie. Why is it in your queue? It's an Oliver Stone movie I hadn't seen yet, it stayed there so long because Tom Cruise was on the cover. What stood out the most to you? A surprisingly awesome performance from Tom Cruise. What mood should I be in to watch this movie? In a good mood so the depressing life of a troubled Vietnam vet won't bring you too far down. And I watched it the day before I left for basic training which was smart. 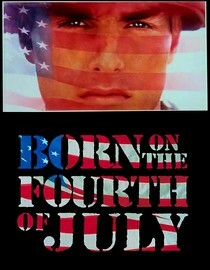 Sometimes I forget that Tom Cruise is a good actor, then I watch Born on the Fourth of July and I remember that he may be a weirdo, but he can act. Did you consider using the ultimate Bitcoin exchange service: YoBit. If you are trying to buy bitcoins online, Paxful is the ultimate source for bitcoins as it allows buying bitcoins by 100's of different payment methods, such as Western Union, MoneyGram, PayPal, Credit Cards and even exchanging your gift cards for bitcoins.